Company Name Baoding Yirui International Trade Co., Ltd.
Baoding Yirui International Trade Co., Ltd.
SLES-70, Sodium Lauryl Ether Sulfate is mainly used for the production of shampoo, shower gel, hand sanitizer, meal lotion, laundry detergent, or other daily chemical products. SLES-70, Sodium Lauryl Ether Sulfate can also be used to produce glass cleaner, car cleaner and other hard surface cleaners, always compatible with K12, LAS-Na, 6501. SLES-70, Sodium Lauryl Ether Sulfate has a widely range of applications in the textile, paper, leather, machinery, oil extraction, etc..
About Baoding Yirui International Trade Co., Ltd.
Baoding Yirui International Trade Co., Ltd. doing the business of detergent raw material, with factory located in Wujiang City, Jiangsu Province. Devoting to chemical product research, development and production. 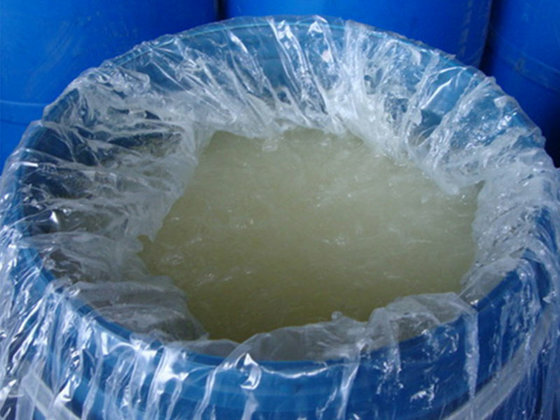 Rely on a professional chemical R & D team, the use of advanced technology and strict quality management; according to the market needs, high quality products continually produced to meet the different customers’ needs.